Solomon is generally remembered for his wisdom, a gift that God gave him after he asked not for riches or wealth or long life but for help in governing the people wisely and well. (But, as the story goes, God was so pleased with the request that Solomon received all the other gifts as well.) The passage opens with David’s death and Solomon’s ascension to the throne. Solomon was very young when he came to power. Many guess that he might have been about twenty years old. He had to have felt overwhelmed with what was required of him. After all, he followed his father, David, which was no slight act to follow and David had placed him on the throne in place of Adonijah, his brother, who was actually the “rightful” heir. There were also many enemies that had to be eliminated to solidify Solomon’s reign. So, lest we think that Solomon had some sort of golden reign or was some sort of fair-haired boy, realize that this passage is a wonderful one in the midst of a story that is bloody and filled with violence, infidelity, and sin. In Solomon’s personal life, his marriages to foreign wives will come to be looked upon with disdain, seeing them as the onset of the worship of foreign gods. And, in the category of completely over the top, sources claim that Solomon took 700 wives and 300 concubines. And even in his reign, the previous warning from Samuel that a king will mean that the people will end up as slaves for the most part proves to be true. It is known that Solomon’s building projects, including the great temple, were built with Israeli forced labor. And yet, somehow Solomon stood out. He was human, a mixture of good and bad, of right and wrong. And, yet, he prays with all his heart for wisdom, for perspective, for what God calls him to be. Solomon goes on to build up the kingdom of Israel and construct the temple. However great David was, it was Solomon who built the most important and sacred structure of the kingdom. It is clear that Solomon enjoys an intimate relationship with God. God even talks to him in his dreams. So, this would imply that true wisdom is about relationships. It is about listening, and understanding that one might discern what is right and good. It is about having the ability (and taking the time) to discern what is right and good not just for one personally but for the people that a leader governs. This week’s passage is the first of several weeks where the lectionary will continue to deal with wisdom and that is woven through passages about Solomon. But Solomon was not without his own problems and his own shortcomings. Wisdom does not imply perfection. After all, here, David seems to be set up as the “ideal”, and we all remember that that was clearly not the case. We are not called to gloss over people’s shortcoming and make them saints. The Bible is not a story of heroes but, rather, the way God interacts in life and ordinary people interact with God. It is also interesting because this passage provides a blatant mix of politics and religion, those very things that we are often warned never to mix. Maybe the problem is not the mixing but rather the lack of wisdom in either of those things. Maybe the warning is not about mixing politics and religion but in mixing bad politics and bad religion. Maybe the calling is to a holy conversation rather than a fight to the finish. History has shown over and over again that times when a religion is controlled by a government as well as times when a government controlled by a religion both usually result in tyranny, in the oppression of the governed. Maybe what God has in mind in the cultivation of a listening heart that is open to what is best for all rather than what is best for those in charge. Richard Rohr said that “the work of religion is to open our eyes to see a world where everything swirls with meaning.” So, as people of faith, we are called not to bring our beliefs but rather the Truth to which they point. What is your response to this passage? What is your definition of “wisdom”? What does “wisdom” mean in your own life? What do you think of the mixing of politics and religion in the time of Solomon and in our own time? Is it different? Ultimately, the theme for Ephesians could probably be a coming together in wholeness of we who are one body in Christ to fill the whole of reality with the goodness and righteousness of God. In this passage, the exhortation falls on wisdom. The beginning reminds us that there are real and apparent dangers to faith and that they require some level of discernment. The implication is that “alertness” belongs to faith. Wisdom and understanding count for something in faith. As people of faith, we need to be able to discern. Permit me to say without reservation that if all people were attentive, if they would undertake to be attentive every moment of their lives, they would discover the world anew. They would suddenly see that the world is entirely different from what they had believed it to be. (Jacques Lusseyran in Against the Pollution of the I) When you read Ephesians the dangers seemed to be coming not from paganism, but from those claiming that they had Christian authority. There is a certain discernment, then, to figure out what is “of God” and what is not. Lots of claims are made in the name of Christ. Some are just silly and others are downright dangerous. The passage definitely speaks to a certain integrity of faith, of life, and even of worship. It is a way of being lifted out of ourselves and beyond ourselves. This passage probably is as much about reverence as anything else. It is an acknowledgment that God’s gifts matter, that we are called to the wisdom of using them to their fullest. Earlier in this chapter, we were called to be “imitators” of Christ. This continues with that same call. And, yet, this verse is often taken as a calling to avoid those who practice these things too. We are not called to be sequestered people of faith. We are called to live in the world. We are called to imitate Christ in the world, to live a life of wisdom, of meaning, of wholeness. The wise life makes the most of what we have been given—for our own good but, mostly, for the good of the Kingdom of God. So maybe this passage is about more than doing the right things or not doing the wrong things. Maybe it’s about reverence, about seeing the beauty in life, about allowing the beauty to find you, about looking up and feeling joy. How does this passage speak to you? What does this say about wisdom? What about discernment? What does equating “alertness” to faith mean for you? What gets in the way of you “looking up”? What “dangers” to faith do you see in today’s world? This week’s passage continues a direct link to the Eucharist and the Gospel writer expands the theme that Jesus is the bread of life. Some commentators have suggested that the sixth chapter of John’s Gospel was composed over time and that the implications to the Eucharist might have been added later. But we cannot help but hear the language of our Eucharist. It is understood as an opening of oneself to a life in Christ. The bread and the cup are lenses through which we can see things differently. Taking them literally, the words are shocking and those who take them literally just don’t get it. The words are meant to correct our vision of what nourishes and sustains us. Remember that this would have been a real change to the status quo of its first hearers. No longer was adherence to the Torah and its traditions what created community but, rather, the oneness and union with Christ. 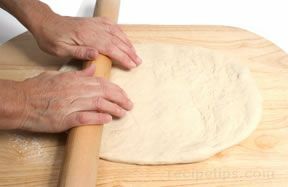 This relationship is what made the bread “live”, made it come alive for those who receive it. Receiving Christ is not just intellectual assent; it is more; it is making Christ “live”, making Christ real in your life. That is how we receive the presence of Christ. Communion with Christ is a lifestyle and the celebration of the Eucharist is a reflection of that life. The daily practice of incarnation—of being in the body with full confidence that God speaks the language of flesh—is to discover a pedagogy that is as old as the gospels. Why else did Jesus spend his last night on earth teaching his disciples to wash feet and share supper? With all the conceptual truths in the universe at his disposal, he did not give them something to think about together when he was gone. Instead, he gave them concrete things to do—specific ways of being together in their bodies—that would go on teaching them what they needed to know when he was no longer around to teach them himself. What meaning does this passage hold for you? What does the term “living bread” mean to you? What does it mean to say that Christ is the “bread of life”? What does receiving Communion mean to you? What does it mean to “live” Communion? What does incarnation in this sense mean to you? Eternal God, we give you thanks for this holy mystery in which you have given yourself to us. Grant that we may go into the world in the strength of your Spirit, to give ourselves for others, in the name of Jesus Christ our Lord. Amen.